Hope's Cafe: Cafe Press T-Shirt Review and Giveaway!! I love the great assortment of shirts (and other products) at Cafe Press! There are shirts for everyone, and one of these unique shirts would make a great gift! CafePress offers the best selection of personalized gifts and unique gifts such as t-shirts, clothing, mugs, art & posters. Seriously! I love this shirt! I have had so many questions and comments while wearing it..."Are you from the NRA?" "No, I'm just a Christian who believes in the 2nd Amendment!" The shirt is very comfy, and I really like the baseball jersey style. It makes the t-shirt a little different than just your average tee. "CafePress offers the best selection of personalized gifts and unique t-shirts, clothing, mugs, art & posters. We have millions of designs from shopkeepers around the world that range from funny to cool to promotional. All of our products are made from the highest quality and are 100% customizable to fit your individual tastes. Design your own t-shirts and other products online for yourself, your friends, or your organization using our state of the art tools. Express yourself!" Cafe Press is giving one shirt of the winner's choice to one of my readers!!! Go to Cafe Press and tell me what shirt you'd pick if you won!! 1 entry-"Like" Cafe Press on Facebook. Leave me a comment. 1 entry-Follow Cafe Press on Twitter. Leave me a comment. This giveaway ends Wednesday, November 10, 2010 at 11:59 p.m. Please leave a valid email address in each comment, as this is how the winner will be notified. Winner will have 48 hours to respond, or another winner will be chosen. Disclaimer:I was not monetarily compensated in any way for this review. I did receive product for the purpose of review. All thoughts and opinions are mine. All quotes taken from the Cafe Press website. livelive12002@yahoo.com.I like the blue adult t-shirt 3x "can't sleep the clowns will eat me". I like the Guitar Fade one. Since my husband has been battling lymphoma I would pick Lymphoma Survivor and Support t shirt. I like the I Don't Believe in Atheists shirt. Please enter me. Thanks! I entered your Marie Madeline giveaway. Entered your Outdoor Education giveaway. Entered your Oh So Girly giveaway. Entered the Naumes basket giveaway. Entered the Charm Factory Bracelet giveaway. I entered the Blankopotamus giveaway. I would choose "V: because crack isn't addictive enough" Product ID: 381637803. I would pick the Vamp Pride ladies t-shirt. I have a 2 year old son, so I really like the "I'm two what's your excuse" t-shirt. So fitting! And it's what I'd get if I won! 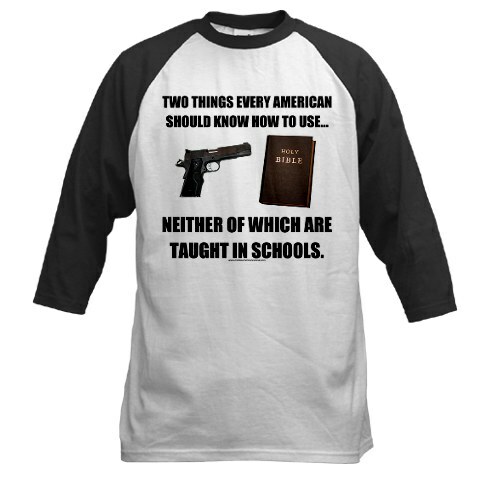 And I like CafePress on facebook. I would choose the Dance for Life 1 Shirt! I like the "I don't have a spoiled Yorkie I'm just trained well" T-Shirt. My Dad really likes the Respect your elders or be eaten by bears shirt. I hope I win!